Irene is an IT expert, having taught Computer Technology, Security and V.I.P Protection at a local college. In 2019 she has joined Halios Capital as part of the Accounting Department, while being responsible for IT Consultancy. 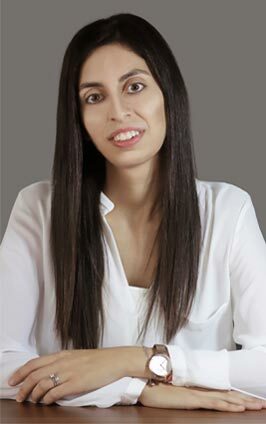 Irene is a Computer Science graduate with a degree from the University of Cyprus, and holds a MBA from the European University of Cyprus. 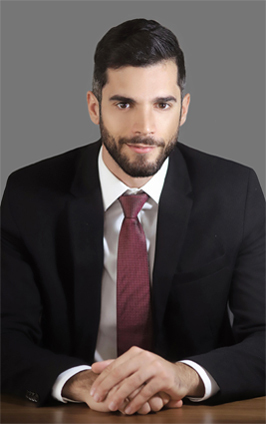 Alkis is an experienced financial professional with a background in accounting, corporate tax advisory, and asset/investment management. He began his career at PwC where he trained as an ACA. He later joined the Family Office of a HNWI, where he served as Financial Controller. 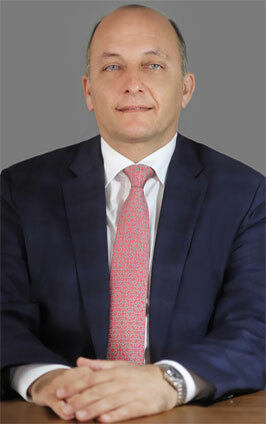 Prior to joining HALIOS CAPITAL, Alkis was an Executive Director and CFO of a CySEC regulated Alternative Investment Fund Manager, which at the time managed the largest Fund of its kind in Cyprus. Charoula has 20 years of experience in banking and finance. She began her career at PwC prior to joining the National Bank of Greece (Cyprus) in 1998, where she was promoted to Branch Manager. 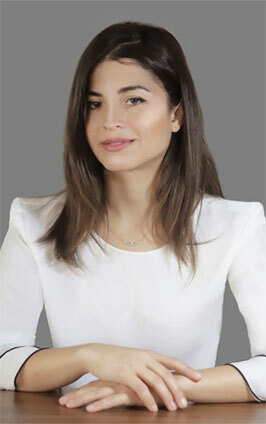 Charoula is an experienced people and project manager, and specializes in banking, compliance and AML. She holds a BSc from the University of Nicosia, a Diploma in Financial Service Management from the Institute of Financial Services, a Cyprus bankers license issued by the Association of Chartered Institute of Bankers, and recently completed a MBA at the European University Cyprus, with a thesis on the “Impact of the Cyprus Investment Programme on the local real estate market”. An architect and designer who recently completed a masters in Architecture at the Bartlett School of Architecture, UCL in London with Distinction and awarded with the Bartlett School of Architecture Medal for completing her studies with a mark of 90%. Prior to returning to Cyprus, Christia has worked for the innovative Crab Studio established by Sir Peter Cook and Gavin Robotham, as well as for architect/planners Farrells in London. 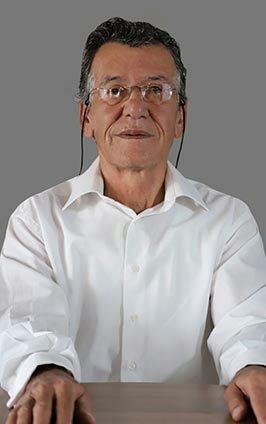 Certificated with the Higher-level Accounting Qualification, Chrysostomos’ professional career has spanned over 4 decades. His last post saw him as the Senior Collection Officer at the Ministry of Cyprus Inland Revenue Department, affording him invaluable experience in tax and audit services. Demetris has over 30 years’ experience in the finance industry and has held various high profile roles in both the private and public sector. He started his career in the US, where he qualified as a CPA. Upon his return to Cyprus he spent time in managerial roles in Coopers & Lybrand and Arthur Andersen, prior to joining the Cyprus Inland Revenue Department. In 1998 Demetris joined the Ministry of Finance as the Senior Principal Assessor and Head of both the Legal Division and Internal Audit Division. 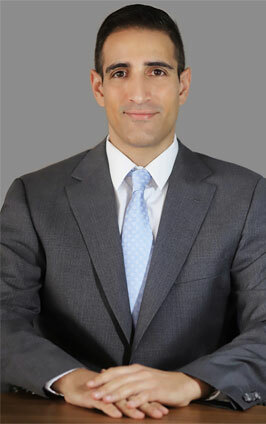 In 2015 left the Ministry of Finance, and founded HALIOS CAPITAL, where he is currently President and CEO. During his career he has participated in various organisations, most notably the Institute of Certified Public Accountants in Cyprus (ICPAC) where he was as an elected board member for 12 years, 5 of which he acted as Secretary of the Council and as Vice President in his final year. Evdokia has over 10 years’ experience in a wide range of industries. 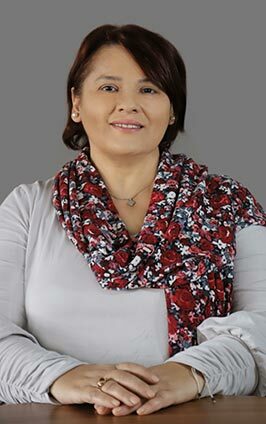 She is an expert in financial accounting and reporting, corporate services and compliance, payroll accounting, as well as corporate and individual tax. 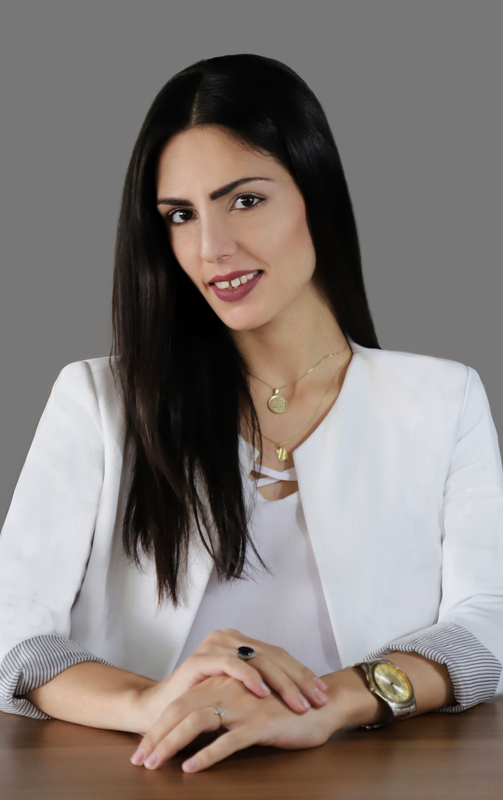 Evdokia holds a Bachelor Degree in Business Administration in Accounting from the European University Cyprus and she is currently in the final stages of the ACCA exams. Maria is a corporate and banking administrator with over 20 years’ experience at one of the top law firms in the country. She has extensive hands on experience in dealing with complex corporate matters of both local and international clients. 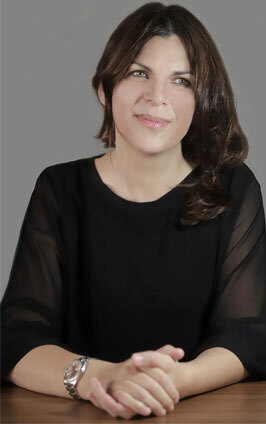 Upon completion of her BA Part I, Graduate diploma Part II and subsequent MA in Urban Design in the UK, Maria spent 4 years as a qualified architect in a series of Architectural Practices in Cyprus. Her selective placements allowed her to work on an array of both commercial and residential projects prior to her current move to the HALIOS CAPITAL team. 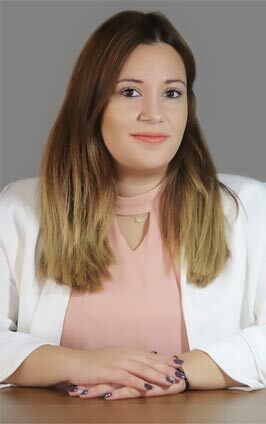 Marianna has 6 years’ experience as an assistant accountant in various industries, including a support role of one of Cyprus' largest organisations. She is an expert in bookkeeping and staff accounting. Marianna holds a University degree in Accounting from the University of Nicosia, Cyprus. An individual with a diverse academic and work experience background. Minos has qualifications in Business Administration, Architecture, Energy studies and Internet Marketing. He has worked as an Architectural Assistant in London before shifting to Sales upon his return to Cyprus. Starting as a Sales and Technical Assistant at a growing high-tech integrator company and prior to joining Halios Capital, he was promoted to Operations and Sales Manager. 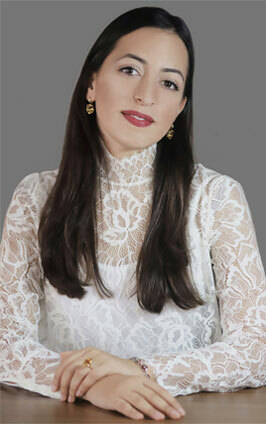 Marina is a legal consultant with extensive experience in real estate, immigration and international business. 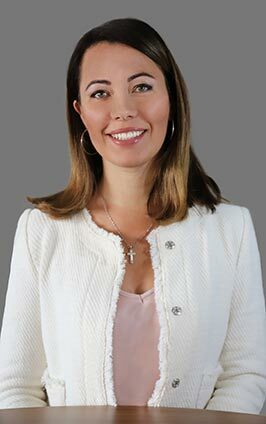 Following the completion of her Masters Degree in International Law at the Herzen University in St. Petersburg, Marina spent 3 years as an officer at Consulate of the Republic of Cyprus in St.Petersburg. 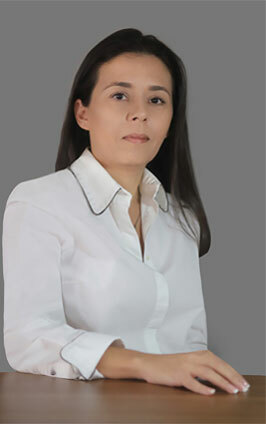 She later spent 9 successful years as business development manager at one of Cyprus' leading luxury property construction companies advising HNWI in Russia on real estate, business, tax planning, immigration and relocating matters, before relocating herself to Cyprus in 2017. With over 3 decades of experience at the highest executive level in diverse fields strategizing market dynamics for retaining/enhancing existing market share, Panicos has achieved significant success on many fronts. 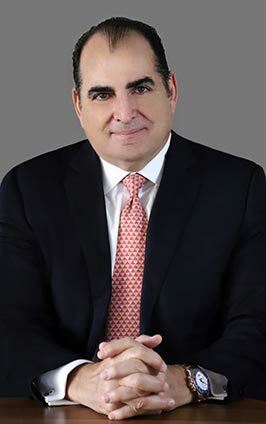 As the past Group CEO of Al Jaber Group he developed an outstanding track record of success in building, infrastructure and oil and gas mega-projects management. An authority in improving corporate performance, he served on various corporate boards leading restructurings in the GCC. He has tremendous experience of corporate finance and restructuring, advising stakeholders of underperforming businesses and accelerating shareholder returns for some of the largest conglomerates in the Middle East. 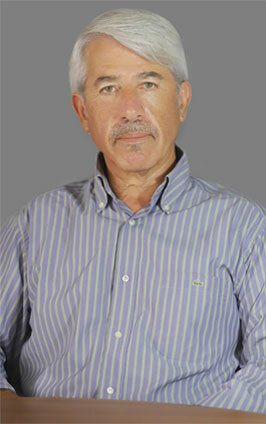 Achilleas is a registered real estate agent (License No. 445), with almost 30 years of experience in the sector. He has been a key advisor in the purchase and sale of millions of Euro’s worth of properties (residential, commercial and agricultural). He is a trustworthy and well admired individual, with a significantly satisfied client base. Vaso is a charismatic and service-oriented office assistant with years of experience providing world-class service to guests. Proactive in identifying and fulfilling customers’ needs to ensure comfortable and pleasant guest experiences. She works closely with housekeeping and maintenance personnel to ensure meeting-rooms readiness and cleanliness.